 If you have an Utilities emergency, please call Auburndale Dispatch at (863)401-2240 for after hours emergencies. NEW UTILITY CUSTOMERS MUST FILL OUT AN UTILITY BILLING APPLICATION. This application must be FAXED or MAILED in order to be processed. This is due to signature requirements on the form itself plus a copy of your Driver’s License must be included in the mailing or FAX. Please click below to download the form.